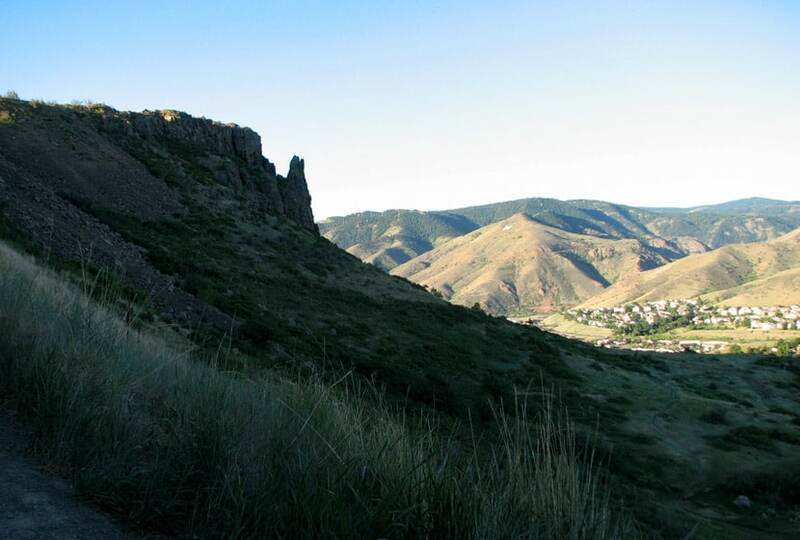 When the sun rises over the North Table Mountain, you’ll see this mesa rising above the town of Golden, Colorado. 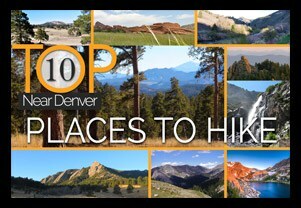 A vast network of trails awaits hikers, mountain bikers, and nature photographers. 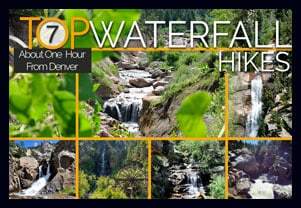 This is a perfect hike near Denver for when you don’t have much time on your hands but need some fresh air. 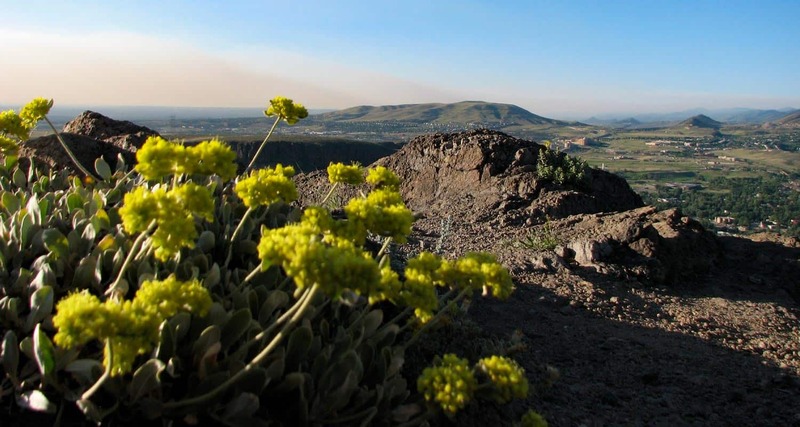 While the trails on Table Mountain are accessible all year round, the best time to hike it is in the Spring and early Summer when wild flowers start to bloom. 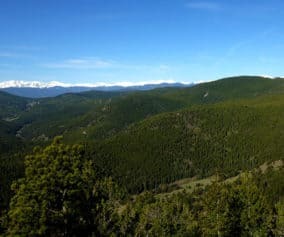 Check out our detailed description of the hike, the Table Mountain trail map, driving directions so that you can explore this unique Colorado hike. Start your tour of North Table Mountain (really it’s a mesa) a few hours after the daybreak by entering the main parking lot off of Highway 93, just north of Golden, Colorado. At the trailhead, you’ll find a kiosk with trail maps, and a public restroom. 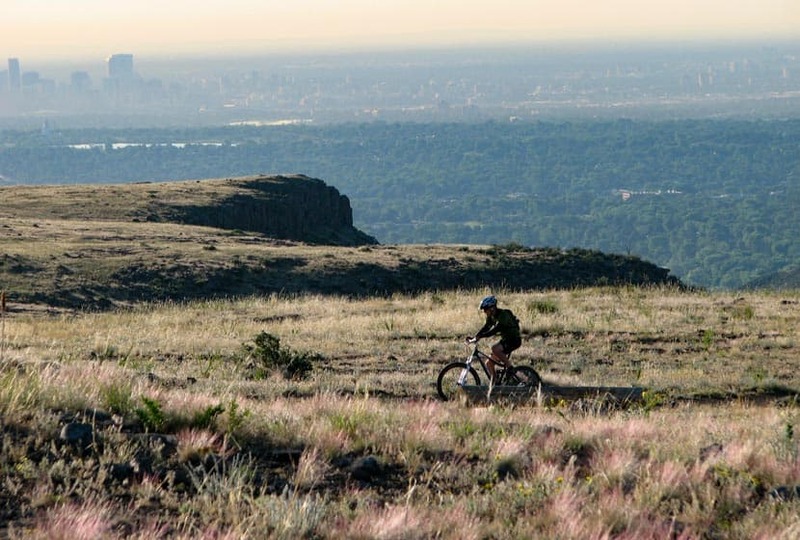 There are three ways you can explore the North Table Mountain, so scroll down to read the details on all three options. 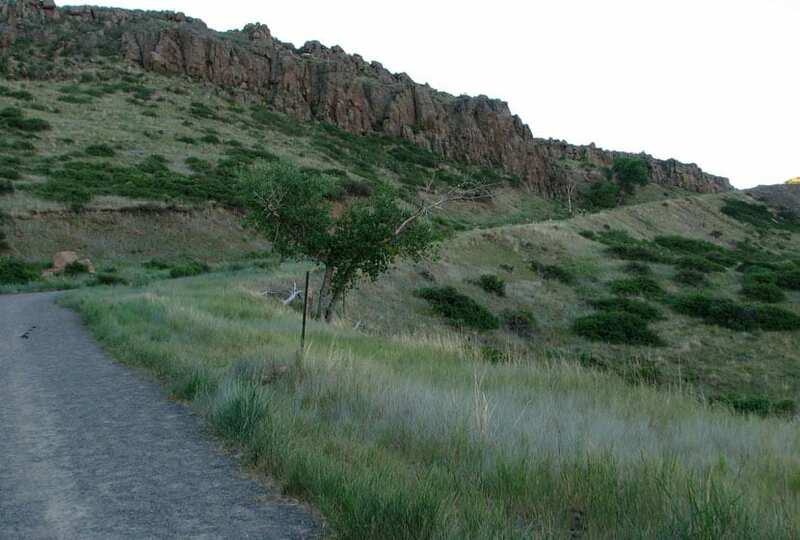 The first part of the trail starts with a wide path, a long ramp up to the top of the mesa. It’s a bit of a challenge, but when you get to the top, the paths level off and are much easier. Leaving the parking lot, take the North Table Loop trail south for 0.7 miles until you reach a trail intersection. 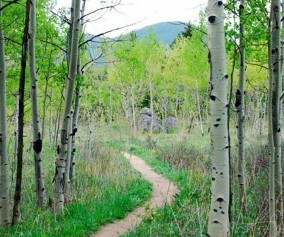 Take a left onto the Tilting Mesa trail. 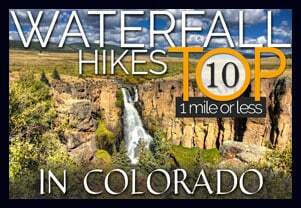 Follow Tilting Mesa trail for approximately 1 mile until the next trail junction. 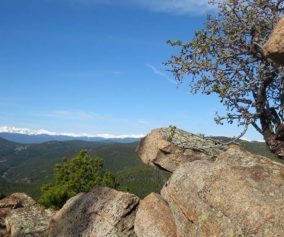 Take a left onto the Mesa Top Trail, hiking on it until it intersects with the North Table Loop trail again. Take a left onto the North Table loop trail which skirts the sides of North Table Mountain and takes you back to the trailhead. Shake it up a bit: This is a longer route that combines a tour of the top of Table Mountain and a hike around the perimeter. Start the same way you would start the short table loop trail by taking the North Table Loop for 0.7 miles until you reach the Tilting Mesa trail. Follow the trail to the first unmarked intersection and then turn right. On your next intersection turn right again onto the Mesa Top trail. After about .6 mile, you’ll encounter a trail intersection with the Rim Rock Trail which is closed seasonally (March 1 through July 31). Continue on the Mesa Top trail until it intersects with the North Table Loop trail which will take you all the way back to the west side of the mountain and to the parking area. This is approximately a 6 mile loop. Adapt to a Closure Route: At the time of this post, April 2014, a segment of the Mesa Top trail is closed due to flood damage. An alternate route adds some mileage and difficulty to this loop, but that just may be what you are looking for. Here’s the route: Same as above, but when on the Mesa Top Trail, take the Cottonwood Canyon Trail (right) until it links you back up with the North Table Loop trail. Then take a left back on to the North Table Loop trail which will then take you on a tour of roughly 3/4 of the perimeter of North Table Mountain. Here’s a link to the North Table Mountain Trail Closure map that should help you plan this route. This Route is approximately a 7.5 mile loop. The Straighforward Approach: The final route is pretty straightforward, just take the North Table Mountain Loop all the way around the perimeter of the mountain. This results in an approximate 7.7 mile loop. If you are a climber or just looking for a shorter hike, you can take North Table Mountain trail to the Golden Cliffs trail. 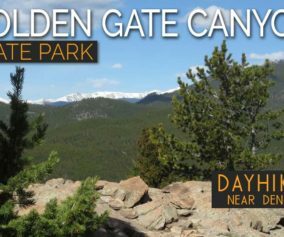 The Golden Cliffs are very popular Colorado rock climbing attraction. This area is actually a preserve managed by the Access fund. For more information on rock climbing the Golden Cliffs, see the Golden Cliffs page on the Mountain Project and Access Fund Sites. This is a 2.7 mile (Round Trip) out-and-back trip. Wear sunscreen because there is no shade once you are atop Table Mountain. Don’t forget to bring your camera. You can get some very interesting wildlife images. 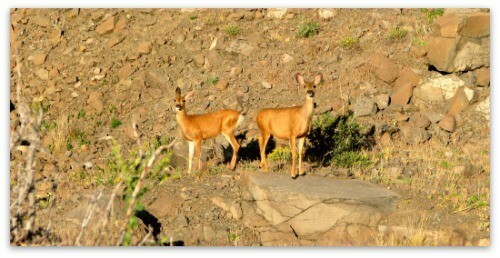 Rattlesnakes: Jefferson County Open Space notes that North Table Mountain is a known Rattlesnake habitat. They recommend downloading their Snakebite Prevention and First Aid Guide to better understand this native reptile of Colorado.